So, some of you may have seen one of my earlier posts about the myth of low-flow renal failure in CHF (http://wp.me/p1avUV-2J), and be aware of my growing conviction that elevated venous pressures – too often sought after – are actually fairly nefarious. ICP by Wilson (http://intensivecarenetwork.com/wilson-monro-kellie-2-0/) which is an absolute MUST LISTEN to anyone in acute care. One of those moments where all of a sudden someone shines a light in a dark corner you’d never really paid much attention to. Really, really cool and game-changing, at least certainly in the physiology model I play with in my head every time I deal with a patient who is genuinely sick. In a nutshell, just to make sure everyone actually goes to listen to it, Wilson explains how you can get venous hypertension simply from increased cerebral blood flow… And we happen to be faced with one of the most common causes of increased CBF almost every day: hypoxia. So when you are dealing with neurological injury (CVA/SAH/post-arrest), the danger of hypoxia (remember the concept of avoiding secondary injury of hypoxia, hypotension and hyperthermia?) lies not only in the obvious cellular lack of oxygen, but also that it is the most potent stimulus for increased CBF, and the main issue being that our venous system is simply not designed to accommodate that kind of traffic, resulting in venous hypertension without (yet) truly elevated ICP. I’m also faced with the recurrent problem of having to be somewhat “rude” when not following suggestions from nephrology consultants in some of my ICU patients, when they advise fluids or holding diuretics in patients with renal failure AND elevated venous pressures (as assessed by a large, non-varying IVC – in the absence of reversible causes such as tamponade, tension pneumo, etc…). It isn’t their fault. They aren’t looking at the venous system (not bedside sonographers yet – “looks dry” on exam/gestalt is as much as you’ll get), and they don’t hold venous hypertension in high (or any) regard (yet, hopefully). This is a great topic for review Philippe! hi, i am an anaesthesist / intensivist from austria. very interesting topic. at the esicm meeting last month in barcelona there was a very good session about hemodynamic monitoring focusing on the right heart and the venous system. the lectures about the guyton approach to fluid management were a big eye opener and certainly changed my approach to patients in the real life icu world. what i always do now is to correlate the cvp with the morphology of the right heart. lets say i have a cvp of 5 with a large right ventricle then i don’t hesitate to give diuretics. i really can’t understand how recent guidelines (surviving sepsis campaign) can still state a cvp of 10-12 as a target value ! new german s3 guidelines on fluid management at least advise not to use cvp for hemodynamic monitoring. guess who was against it? the german sepsis society, probably because they didn’t like to upset their friends from the surviving sepsis campaign group 🙂 let me send you a link to a very good article: Understanding venous return: Intensive Care Med. 2014 Oct;40(10):1564-6. doi: 10.1007/s00134-014-3379-4. Epub 2014 Jun 26. i went through some of the cited articles – awesome information! thanks for the interesting discussion and keep on posting ! Sounds like a good session! I cannot understand why CVP remains in guidelines when there is clear, irrefutable evidence that it does not work to estimate either volume status or responsiveness. As you say, other, more physiological information renders CVP irrelevant. I have not used CVP in years. Thanks for the reference, will make sure to check it out! 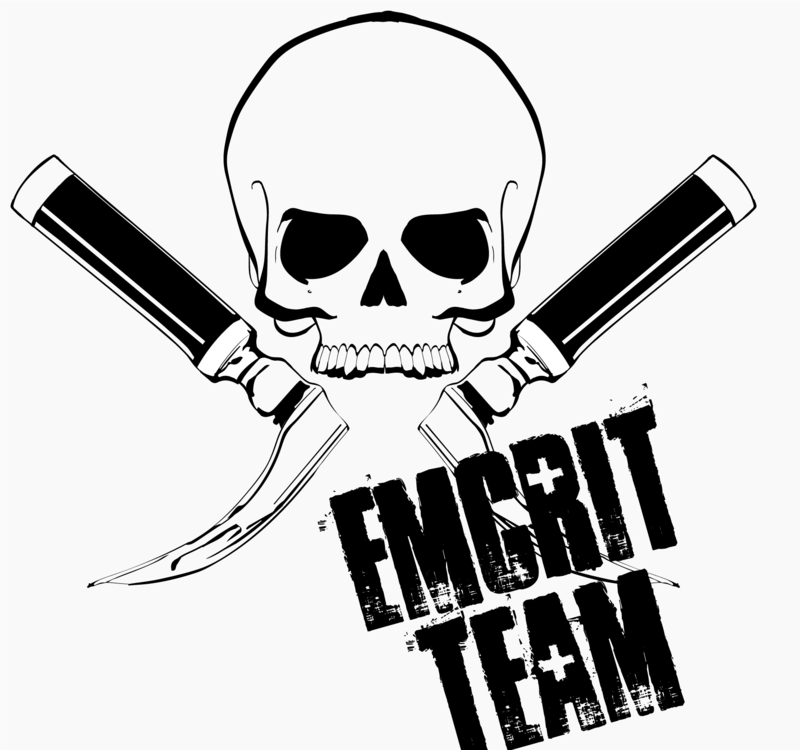 So I’m putting this up cuz I had a few people ask me to, but in truth I don’t think I have anything really groundbreaking to say, nor do I feel the need to repeat what Scott (emcrit.org) and the Bottom Line crew (wessexics.com) have already broken down. I would just caution the following, as I did a few months ago with PROGRESS, that not all usual care is of the same level (and I’m not talking about the community vs academic centre necessarily) and you all know your institutions, so its up to everyone to judge whether they are better off sticking to their current (likely EGDT-based) protocols or not. Don’t forget: CCUS 2015 registration opens soon! see http://www.ccusinstitute.org or http://wp.me/p1avUV-bh for more details, its gonna be awesome! 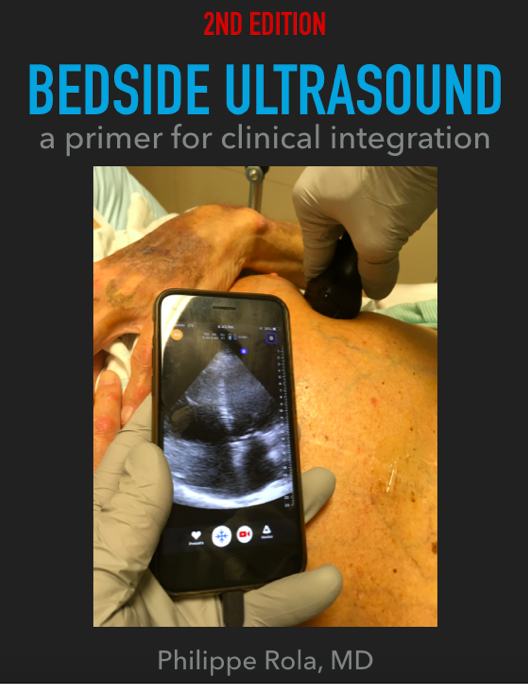 Hi, so here is a quick little overview on why anyone taking care of hospitalized patients unequivocally need to use bedside ultrasound in a daily, integrated fashion, even if they don’t realize it yet. It isn’t just for the flashy spot diagnoses in the ICU or the ER, but really for daily rounds, assessing common cardiac, respiratory, renal, gastrointestinal and even neurological syndromes. 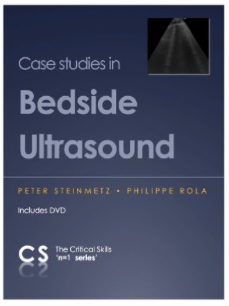 Love to hear from any hospitalists or medical consultants out there about their use of bedside ultrasound! Let me start with a clinical scenario: you have a 68 year old male in front of you who is intubated, has bilateral pleural effusions, pulmonary edema, a bit of ascites, significant peripheral edema, elevated CVP/JVP/large IVC, and a moderately depressed cardiac function. What is the diagnosis? If you said CHF, you might be right. If you said post-resuscitation state in a septic patient, you might equally be right. Hmmm…. So as any self-respecting FOAMite knows, there is an ongoing and endless debate about fluid responsiveness, how best to detect it, what exact percentage of some variation represents it – is it 9% or 13% – and everyone has the way they swear by. Well, I think the entire premise behind this is essentially flawed. The fact that this is the first question implies that the answer should radically change management (eg giving or not giving fluids “generously” – yes, the quotes imply facetiousness). Basically, that you should stop giving fluids when your patient is no longer fluid-responsive. The implication is that fluids is a better, safer, healthier, more naturopathic, eco-friendly and politically correct therapy than any other option. I think we should reflect on that a little. If you put some faith into normal physiology, you have to acknowledge that the only situations in which our cardiopulmonary system finds itself nearly or no longer fluid responsive are pathological: CHF, renal failure, etc. None of those are healthy. None of those are a bridge to healing. What do we do when we are hypovolemic? We vasoconstrict, stop peeing, try to drink a bit (if at all possible) and slowly replete our intravascular space via the portal system. We might build up a little lactic acid (helps feed the heart and brain – yup, nothing toxic about it), but we get over it. Of course, if we lose too much, the system fails and we head to meet our maker. Now, having remembered that, why do we feel (and I say feel because the evidence isn’t there to back it up) like we have to get to pathological levels of intravascular venous pressure to fix the problem? Especially when the problem at hand isn’t primarily hypovolemia, but mostly vasodilation, with possibly a relative hypovolemia in part related to increased venous capacitance. The real question is: does my patient really, truly need a lot of fluid? I think that answer is relatively simple. No matter which method you are using (mine is IVC ultrasound: -https://thinkingcriticalcare.com/2014/04/01/the-ivc-assessment-by-bedside-ultrasound-lets-apply-some-common-sense-foamed-foamcc/), if you are deciding based on a millimetre of diameter, or a couple of percentage points of variation whether or not to give liters of crystalloids to your patient, there is no truth to that in the individual patient. Trying to figure out the tiniest of differences to decide our therapeutic options is, in my opinion, a huge waste of time with no scientific basis in the one single patient you are treating. It’s like haggling for a dollar on a hundred dollar item in a flea market: you’re missing the boat. 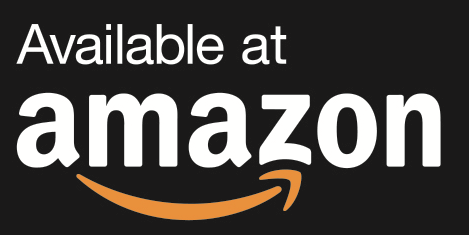 “85% of patients with a IVC/SVV/SPV/PLR of …. are volume responsive” or something of the sort does NOT apply to the one patient you have in front of you as a recommendation for fluids. You have to make a complete clinical picture of it – feel the belly, look at the inspiratory effort, examine the tissues for edema, etc. Even if my patient is fluid-tolerant, why to we want to push him into near-pathological states? Is it just the old adage of “You have to swell to get well?” In the light of much of our literature, I’m not sure that old wives’ tale holds a lot of water. At least, avoid actually reaching the point of no longer being fluid responsive. You can’t tell me you think that CHF is actually a good thing, can you? I think your logic is sound enough, but the moat that makes it currently unassailable is that you are working in an area with no or very little data. There is clearly a reasonably well developed and continuing to develop literature around the mortality effects of excess volume. There is an older literature that suggests that our vasopressors are actually having their effect on the more normally functioning arterioles and may shunt well oxygenated blood from the well functioning cells of a tissue and to the ones that are shocked and can’t use the oxygen, anyway. At this juncture, your guess is as good as mine, as to which of these is the greater evil. Ergo, your argument is as good as any. One thing I will say is that the patients who concern us are those in whom endotoxin, blood loss, or other factors have resulted in a shock state wherein cells and even large parts of tissues have both inadequate oxygen supply and inadequate ability to use whatever oxygen is supplied them. Any tool we have to alter this pathological state is blunt. Blood pressure? CVP? IVC size and behavior? SVI? What do any of these say about how well we are doing at the tissue and cellular level? Even the interesting markers of lactate, ScvO2, CV CO2, etc. are blunt instruments. As is our bag of fluid and as are our vasopressors. And think about our end result – “hemodynamic stability”, “better mental functioning”, “good urine output”, “feeling better”, “walking around”, “able to go back to work”. Things that are important to us and to our patient, but barely even measurable. How blunt are they? My own approach, which I suspect to be yours, too, is to recognize that the new onset shock patient is momentarily different from the chronic CHF patient/”chronic” shock patient you describe above. We know there is an oxygen deficit, and it behooves us to correctly that as quickly as we can. We believe, with some data to back us up, that rapid correction of that deficit, to the extent that we can, can prevent the ugly chronic state. I use the blunt measures of fluid responsiveness in the first hour or two of resuscitation to ensure that the CO component of oxygen delivery is not deficient, and then I stop giving fluid. Early in the course, I am prone to rechecking “volume responsiveness” in some hours, because I know that fluid is leaching out of the vascular space and the patient has not stabilized, yet. All the while, I am highly aware that I am hoping this makes a difference, not knowing that it does. I am aware that it is rather circular to check SVI or IVC, give fluid, see a change and say, “See? Volume responsive.” And all the while knowing that every patient has his or her own line, beyond which more fluid will not be helpful but harmful. And all the while knowing that I can’t see that line, nor measure it with any tool that currently exists. I think perhaps that we are like Phoenicians, navigating our way across the ocean by the North Star and trying to keep land in sight. We do a pretty good job of getting where we’re going a lot of the time. But won’t it be nice when we come up with GPS? Or even the astrolabe? I can’t agree more. I do check for fluid responsiveness, and I do believe in rapid intervention – just perhaps not quite a vigorous and generous as medical marketing would have us buy. There isn’t more data for that than for a somewhat more conservative approach, in my opinion. Even the rate of administration is rarely looked at, just the totals. There is good animal data showing that, for instance, a more rapid rate of albumin infusion results in greater leak and less intravascular albumin at 6, 12 and 24 hours. Little reason to think it would be any different in humans. There is also data showing that the oxygen deficit in sepsis is not as ubiquitous as we think. Our understanding of the septic disease state is minimal at best, and our tools exceedingly blunt, as you point out. GPS or astrolabe would be amazing. I’ve had a few discussions with people working on cytochrome spectroscopy – a possibility to assess mitochondrial “happiness,” which could give us an oxygenation endpoint. Then we could have a trial that might end up showing which degree of mitochondrial oxygenation is optimal, if any. I know I am playing a bit of a devil’s advocate and that, in strict numbers, I probably don’t give a lot less fluid or a lot slower than most, but I think it is important to keep our minds open to change rather than keep a clenched fist around the ideas we have. cheers and thanks so much for contributing fantastic material! Philippe, I really feel like being on your same wavelength when I read your posts about fluid responsiveness. I think it’s obviously easy to agree that a bleeding hypovolemic patient is fluid responsive AND needs fluids, but the more accurately I think about the physiology of fluid resuscitation when a nurse is asking me “should we give him some fluids?” the more I realise that the “grey zone” is large and its upper limit is not easily detectable. Probably if you fill your patients to the point where they are no more fluid responsive, you are sure that no more fluid is needed, but you should be able to stop a bit earlier. Blunt instruments and measures are an issue, and integration of the data is a possible solution (at least until a GPS comes along), but critical thinking is always a valuable resource.